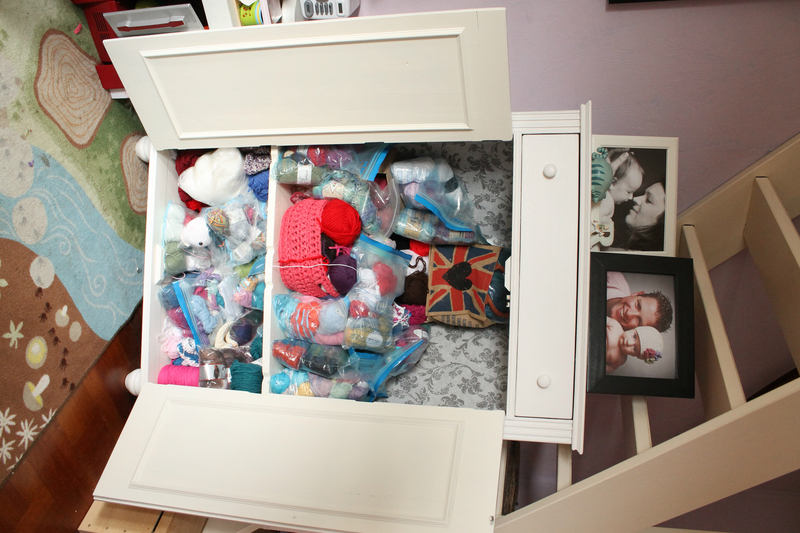 It sparked a curiosity into how we all store our yarn. I’ve of course seen a million Pinterest Perfect images, but how do we store it in real life, and not just for taking pictures for our #socalledfacebooklife. So I’m sharing mine. Isn’t it just a beautiful cupboard? I bought it from a friend with the intention of moving it upstairs to be a wardrobe for my daughter now that she has graduated from baby furniture, but it’s so heavy and a bit of a tight squeeze to get up the stairs that after an argument on the first morning my husband and I abandoned the idea. It’s a deep corner cupboard and I just love it. Not particularly organised, is it. Every few months I go through and sort it all out, but as the collection grows (and grows) I don’t seem to be able to keep on top of it. Better. Not great, and not ideal, but better. Ideally I’m going to update an upstairs storage room into a craft/escape room. Right now it’s my husband’s computer room, but he rarely uses it any more, so I’d like to add shelving and a nice workspace for us both to be able to use. It’s one of those never-ending discussions though. He has a desk that was his fathers and made by his grandfather that he’s very attached to, but I hate. Not because it’s ugly, but because it doesn’t fit the space *at all* but he won’t part with it. So until the desk issue is resolved, here’s how my yarn will have to stay. I store it by brand and weight. I love the pretty pictures of the colours all being together, but I need to know how much of one yarn I have. Everything is in zip lock bags and perched on top of one another in the cupboard, ready to topple at any moment. Kind of like my life, I guess. 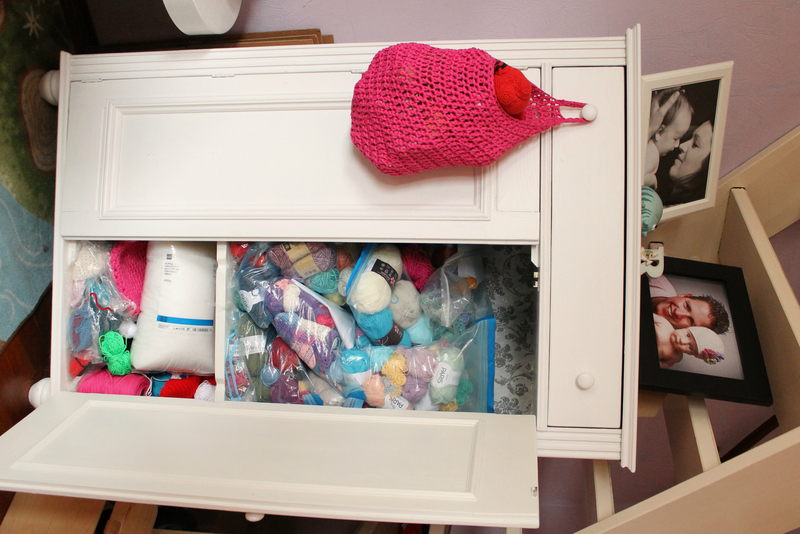 How do you store your yarn? I’d love to see, post some pics to my Facebook page! 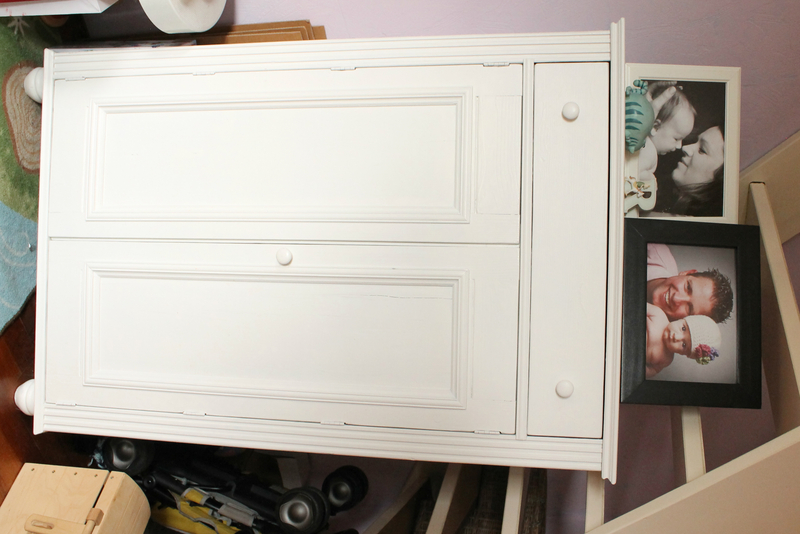 Do you have any ideas how I can improve this, bearing in mind that it’s a corner cupboard, so is a triangular shape? This entry was posted in Off Topic, Yarn. Bookmark the permalink. Looks pretty organised to me, at least you gave similar types together! !